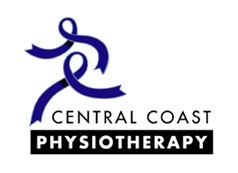 We offer a comprehensive physiotherapy service at our clinic which includes equipment and treatment options which would be the pride of any practice in Australia. This page includes a list of many of the different services we offer accompanied by a brief description. This is designed as an introduction to these services and to assist you to decide if you need more information about this type of treatment. We encourage you to contact us to clarify any aspect of our service by phone or through the form on the "Question Time" page accessed through the navigation bar. This list covers the broad scope of our services but is by no means complete. If you cannot see the treatment you seek on this page you can also contact us and we will let you know if we do it or help you find someone else who can. Pilates has really taken off in recent years however most people are introduced to it when they go to the gym and join a class. The type of exercises that are performed on a mat can be really difficult to perform at all and most commonly incorrectly. Private Pilates sessions involve looking at the core muscles with our real time diagnostic ultrasound to ensure the activation sequence is right. This is the only way to do it correctly with confidence. 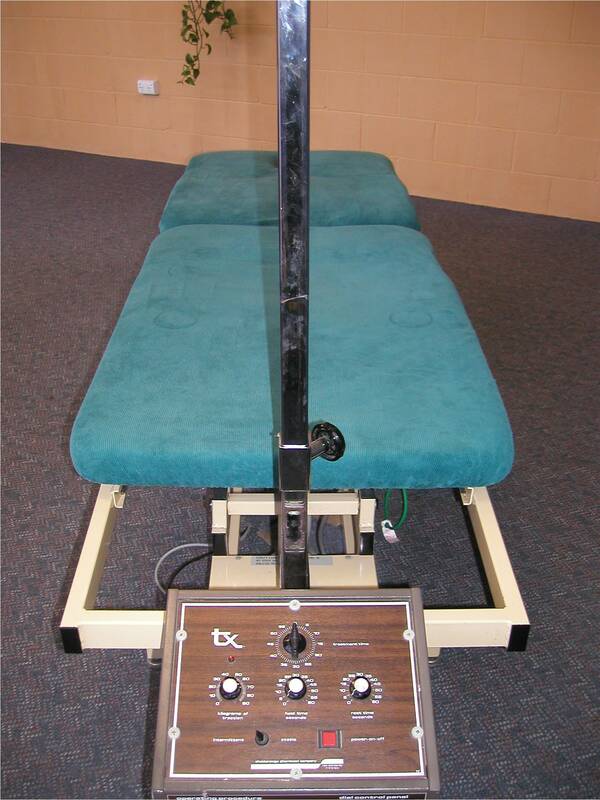 Exercises are commenced on a clinical reformer which is more appropriate for beginners and are combined with floor exercises as the techniques are mastered. 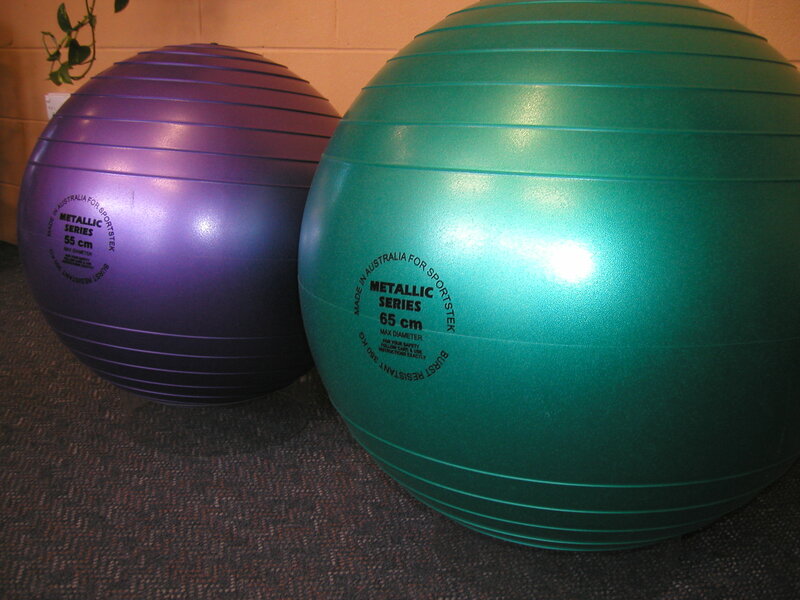 and in no time be able to join the Pilates sessions at your local gymnasium. Pilates classes is a new product at our clinic which we are very excited about. We have just purchased 2 more Pilates Reformers so now we have 3 in total and can have small reformer class sessions which is a great addition to our clinic. Pilates reformers have been around for years however are beyond the price range of most gymnasiums to even have one, let alone one for everyone in a class. Using a reformer is a lot more fun and more suitable for beginners as there are more exercises which can be performed at an easier level. 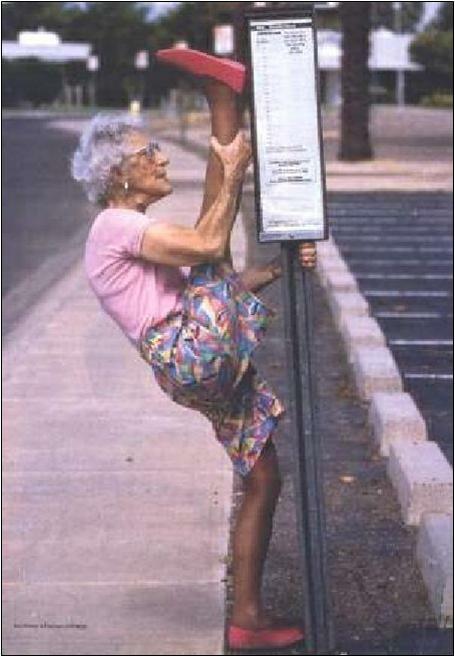 Our classes include stretches and some floor exercises. Classes are for 1-3 people only and thus are designed around the level of those attending the class. In fact all three people can be concentrating on different exercises during the same class. sessions to check your individual core stability and introduce the activation techniques. Our classes are designed to bridge a gap in peoples ability to learn the techniques effectively. Once you have mastered your core you can join your local gymnasium pilates classes with confidence. There are many ways to approach a back strengthening programme and many people like to combine core stability with a solid back muscle workout. This is achieved with our MEDX lumbar extension machine which is used to both assess your back strength and give you a solid workout. These units are very popular in the US and used throughout many industries such as the Mining Sector who aim to keep their employees in optimal back strength condition to keep injuries to a minimum. Over 14 sessions most people will improve their results by over 50%. The workout only takes 5 minutes per session so is ideal to combine with a core stability programme. Core stability retraining refers to teaching your body to activate the right abdominal muscles to control your torso or your core. Once you have mastered the general concepts you can join our or sign up at your local gym for floor class. 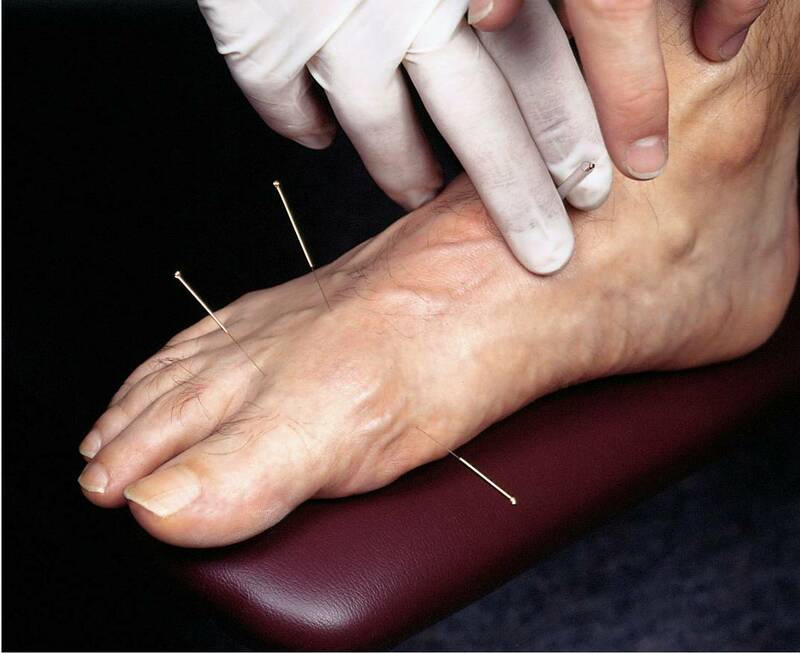 Dry needling involves using acupuncture needles to get deep into the muscles to help relieve trigger and pressure points. We use very fine needles and most people barely feel a thing when the needles are inserted - we have converted many people who hate needles! We find acupuncture most effective on muscles of the shoulder/upper back region and also the elbow. The upper back region harbours many muscles which are susceptible to the stresses of work and life and are prone to tightening and developing trigger points. Many people with elbow extensor tendonitis or tennis elbow respond well to acupuncture as a component of their treatment. This is a service sought by employers who request all of potential staff to have a thorough physical examination before they are considered for a position. Our service is particularly unique as we not only perform a comprehensive strength and joint analysis but we design a number of tests using the daily tasks of the position to gain a better insight to the suitability of the potential employee. If you would like our facility to perform testing on all of your new employees or even just for those who are in positions which are more demanding we would welcome a call to discuss your needs. Women's health refers to retraining pelvic floor muscles to assist with such functions as bladder control. Generally these problems occur with women after they give birth and the muscles in that area need to be taught to activate again. The problems can occur immediately post-natal but often do not appear until the person is at retirement age. A few sessions is generally more than enough to achieve goals in this area. Women with these problems will need to complete a diary to record urgency and incontinence. 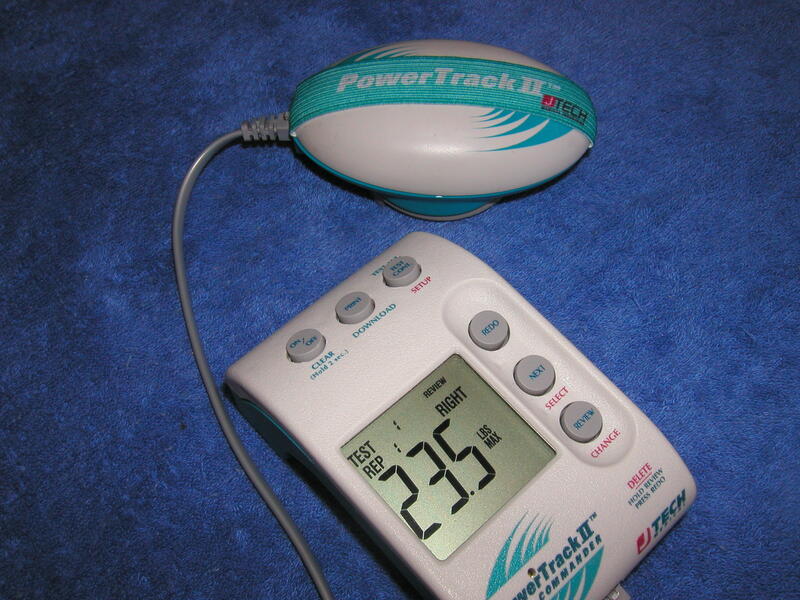 The assessment and retraining does involve palpating muscles around the pelvic floor. All assessments are performed in our quiet room and may include the use of real time diagnostic ultrasound to look at the muscles in action. If you believe these service may benefit you, discuss this with your GP or call us direct and speak to Rachel Hey who is our women's health physiotherapist. Physiotherapy in nursing homes is even more important with the introduction of ACFI this year. We currently perform a comprehensive service to complete all assessments in accordance with accreditation and auditing purposes at 5 facilities on the Central Coast and now Wollongong. We can even provide a treatment service where residents can receive hands-on therapy without leaving the facility. If your facility would like to consider our service on a temporary or permanent basis please contact Ryan who can discuss with you further what we can offer at very reasonable rates. We happily perform home visits for anyone who lives in the Long Jetty, Erina, Kincumber or Wyoming area. We do not charge any more for home visits than other standard fee as we consider it a necessary service to the community. The best range of treatments are available onsite at the practice however at times attending our clinic is not possible due to frailty or acute illness. 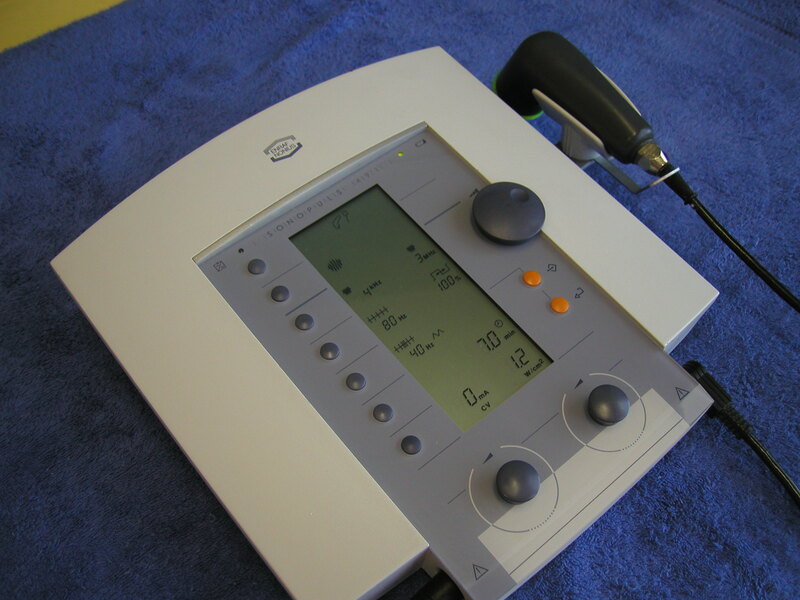 For these patients we have portable electrotherapy modalities and treatment tables which assists us to provide the optimum home care treatment. Our job here is to make surgeons look good with comprehensive post operative rehabilitation. The operations which benefit most include knee replacements and reconstructions, shoulder reconstruction and supraspinatus repairs, back surgery and hand/foot operations. The most important aspect to post operative rehabilitation is a good exercise regime and we are very proud of the gymnasium we have onsite to assist with everyone's programme. 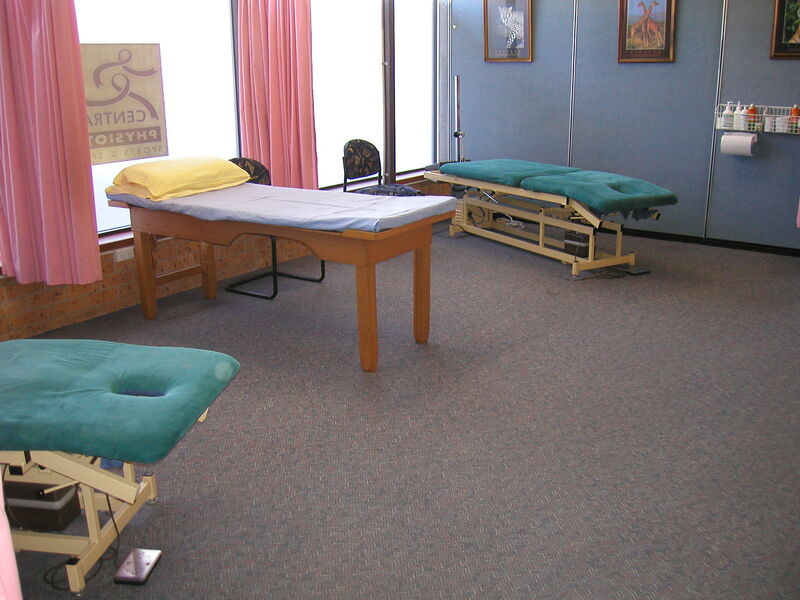 This is your traditional physiotherapy which most people are familiar with and is a one-on-one service in a private room. Commonly patients present with acute or chronic injuries needing strengthening and/or reduction in pain. We have a particular emphasis on a quality hands on service. Below is a summary of some of the common types of treatments, equipment, injuries and exercise programs we commonly use or treat. Our clinic has been involved in assessing workplaces to assist in exposing tasks or conditions which can lead to workplace injuries. We can perform a risk assessment analysis and give sensible feedback to the changes that will reduce the risk with minimal change and expense. For any enquires for this service please contact our clinic and ask for Ryan. Injured workers often need some assistance to regain their pre-injury condition before they can return to full time work. The role is often given to an exercise physiologist who travels form gym to gym. Although this service is quite adequate our experience suggests most programmes are quite general and not specific to the clients injury. We have designed a physiotherapy based programme which is applicable to all types of injuries but specifically low back conditioning. We use our MEDX lumbar extension machine, real time ultrasound and Pilates reformer to give a specialised back workout programme. We can perform insurance WRAP or E-WRAP programmes or design a more intensive programme for any client. Most of our programmes are work injury related and are performed in consultation with the insurance company. Ulcers and wounds which develop when circulation is poor can be very difficult to heal and take many months or years. Laser can be used very successfully to assist with cell proliferation and although it is used widely overseas is less common in Australia simply because most health professionals are unaware of it's benefits in this regard. 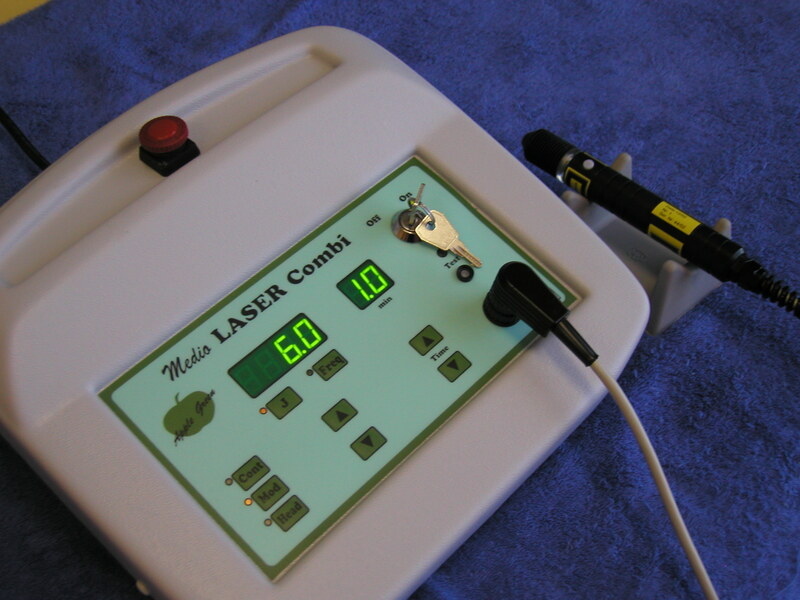 If you or your family or friends have wounds which are not healing, call us and we can arrange to assess your wound and speak to your GP to discuss the suitability of laser therapy. Waterproof fibreglass casts are almost standard these days but it takes a little more experience to apply one well. Plaster casts cannot get wet but a fibreglass cast with gortex underlay can be totally submersed which is great for showering and going swimming. Why would you get a plaster cast then??? Considering that the extra cost is only about $20 I do not know either because the benefits are very much worthwhile. Most fractures can be cast with fibreglass with the only real exception if there is a wound under the cast or if the cast was applied during surgery and should not be removed. So when your GP says that you need a cast, ask for a waterproof cast. If your GP cannot apply one we would be more than happy to assist. The cost of waterproof cast varies depending upon the size of the leg or arm and inturn the amount of material necessary. 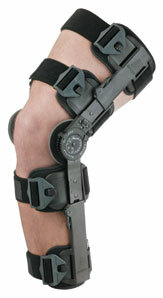 Generally, an arm cast start is between $100 and $120 and a short leg cast is $120-$150. A walking boot which is necessary to wear if you are permitted to walk with leg cast on costs $20. These prices are quite reasonable as the cost of materials can be as high as $100 alone. We have deliberately kept the total price as low as possible to maintain affordability. We have 3 rooms which we hire at any hourly rate to health-professional based occupations who need local premises on a casual basis. These may include occupational therapists or doctors for example whose primary premises are either in Sydney or Newcastle however need to see local clients from time to time. Hirers all have access to our gymnasium to perform testing in a larger room if required. 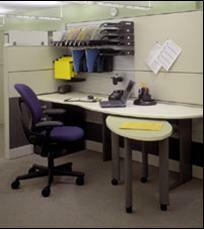 Included in our hourly rate is reception staff, morning tea, internet access and the use of any of our own equipment. For all enquires contact our secretary Melanie during business hours.